Q: Dryer takes too long to dry or multiple times to dry a load. A1: Pull the dryer out away from the wall. Unhook the vent from the dryer completely. Do not put anything over the dryer exhaust on the back of the dryer. Do a normal load with the vent unhooked. If it dries better or ok like this then the problem is in the dryer venting. Like a blocked vent pipe or a smashed or restricted vent hose. A2: If the vent doesn't make a difference, then check the blower wheel for excessive lint build up, check that there isn't anything stuck to the air intake baffle inside the drum, (i.e. the screen on the back wall of the dryer when looking into the drum). Check the lint filter chute for blockage. Check that the heating element isn't shorted to ground. Check the exhaust temperature of the dryer. A meat thermometer or pocket thermometer can be used for this. It should cycle approx between 120 degrees and 160 degrees ( without clothes ). Check that the drum seals are not worn out. Check blower fan for proper air flow Check the blower wheel for being stripped out in the middle. 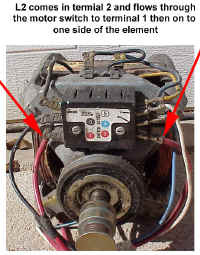 Notice: this is a common problem The hole in the center of the blower wheel should be "D" shaped. These strip out after awhile and then spin freely on the shaft, not spinning at the same speed as the motor. This makes a rumbling noise and poor/slow air flow through the dryer. Q: My electric dryer runs but will not heat, what could stop my dryer from heating? A: Things that could stop a electric dryer from heating: house fuse or breaker ( needs two of them ), heating element, burnt wire, thermostat(s), thermal fuse ( not all models ), motor heat switch, timer, selector switch, burnt power cord/plug. A ohm meter test for these parts. Q: My gas dryer runs but will not heat, what could stop my dryer from heating? A: Things that could stop a gas dryer from heating: glow bar igniter, thermal fuse ( not all models ), coils on the gas valve, gas valve, thermostats, motor heat switch, timer, selector switch, sensor. A page for checking gas dryers. Q: Why is my dryer noisy? 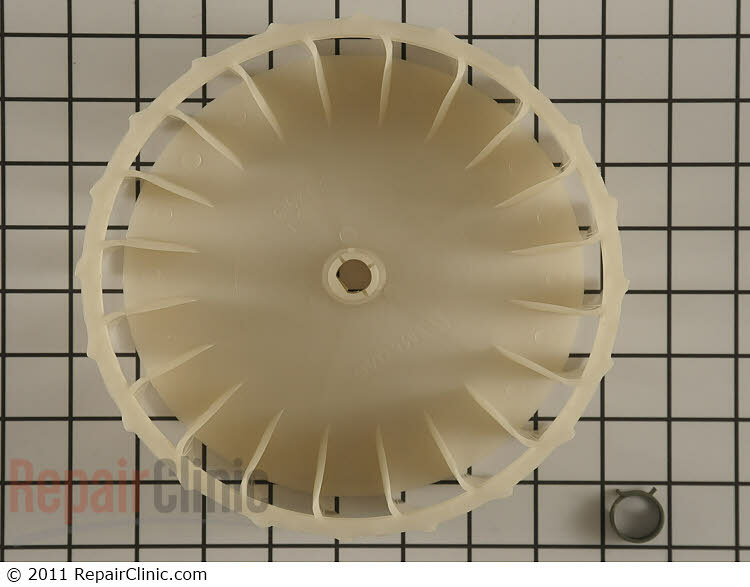 A: Check the blower wheel for being stripped out in the middle Notice: this is a common problem The hole in the center of the blower wheel should be "D" shaped. They strip out after awhile and then spin freely on the shaft, not spinning at the same speed as the motor. This makes a rumbling noise and poor/slow air flow through the dryer. Check the motor for noisy bearings. Check Drum Rollers. Check Idler pulley. How long can my dryer vent be in length? 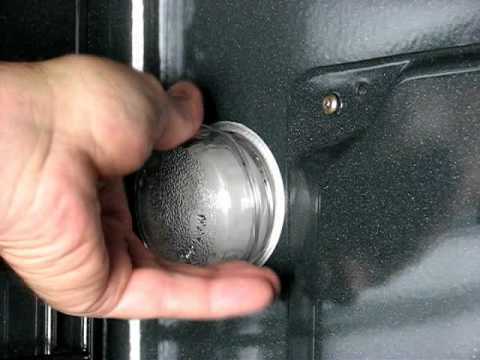 How do dryer thermostats work? 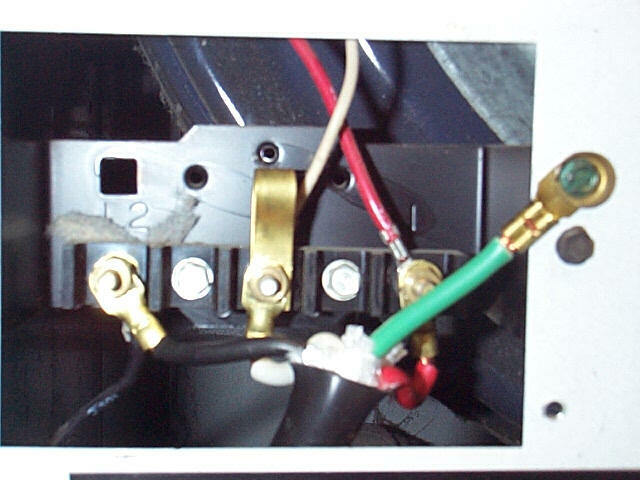 Maytag dryer - common noise problems + That famous "My Maytag dryer is making a rumbling noise"
What is a grounded element? See dryer basics as a place to start for general dryer information. Maytag dryers now have many different styles, we will keep to the most common one ( used approx. between late 70's -1998 ) and some info on the newer ones. See "how to take apart" first. The most common noise maker is the fan blower, it breaks on the motor shaft and makes a loud "rumbling" noise. Other common trouble makers are the rear rollers and idler pulley, they often can make a screeching noise. A common noise with Maytag dependable care dryers is a rumbling noise that often still rumbles for a few seconds even after the dryer shuts off. This usually a broken fan blower, the inside part of the fan blower has rounded out and the fan blower is free wheeling on the motor shaft = new fan blower time. These pliers help make the repair a little easier...Snap Ring pliers.. From Tools Accessories section... How to take the dryer apart. Part is # 303836 for the Dependable care models. Maytag fan blower order link. Maytag old style dryer - belt change help is here. Start out with how to take apart. Maytag dryer ( 1979-98 ) dryer - belt change help is here. Start out with how to take apart. Maytag dryer newer style belt install tip - From Dennis, a Maytag employee....thankx Dennis!! My trick to this is when I have the front bulkhead off and take the drum out. I put the belt groove side facing me and grasp it and hold it tight . then I put the dryer drum in and tilt it towards me and I kind of crawl inside the drum and get the belt around the motor pulley and pull the idler and loop the belt around it. Then I pull myself up and push the drum into place and turn it and if it is ok I put the bulkhead back on. This is how I was taught at Maytag tech school. I hope this helps. 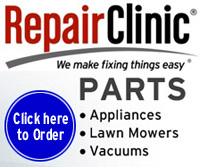 See "how to take apart" first. 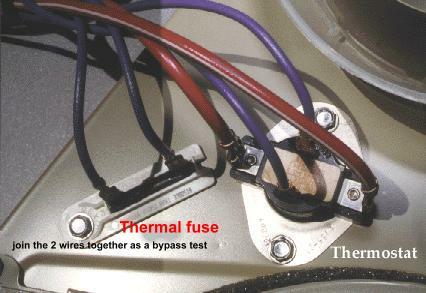 Don't forget to check fuses in house fuse box and confirm that you have 240 volts to the dryer main connection. Test for 240 volts to heating element, 240 volts to the element and no heat = bad element. The new element comes with directions. The element must be physically broken to be bad. If you have no power at the heating element, remove power, remove wires to the heating element and isolate them so that they can't touch anything. Reinstall power and check each wire for power from the wire to the dryer cabinet, one wire will probably show 120 volts and the other will show zero. Make note of the color of the wire that has no power, remove power to the dryer and check the wiring diagram to find out where that color wire goes to. EG: - wires might be black and purple, if the black wire (example only) was the one that had no power, look at the wiring diagram to find out where that goes to and check only those parts, no need to check the other colored wire parts as they are working. If live volt testing scares you, try the ohm check instead. 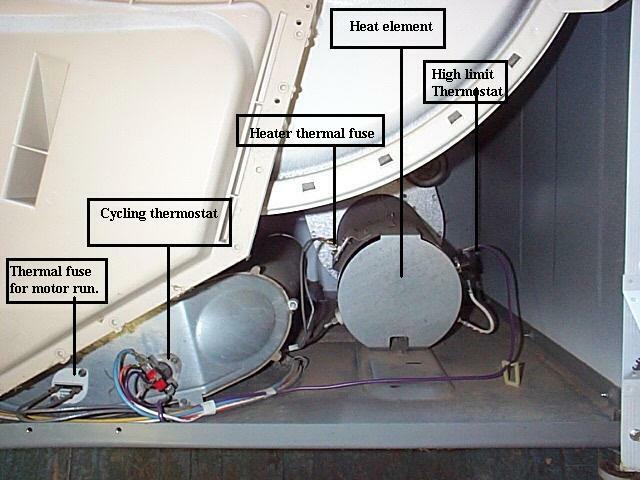 If you see a fault code in the dryer display, read this for what it means. New page for SE1000 fault codes. This is often a stuck/sticking push to start switch. With the dryer in the off position and buzzzzing, pull up on the start switch button to see if the buzz noise will stop. If it does = new start switch time. The odd time the motor switch may stick and keep the buzzer buzzzzing as well.